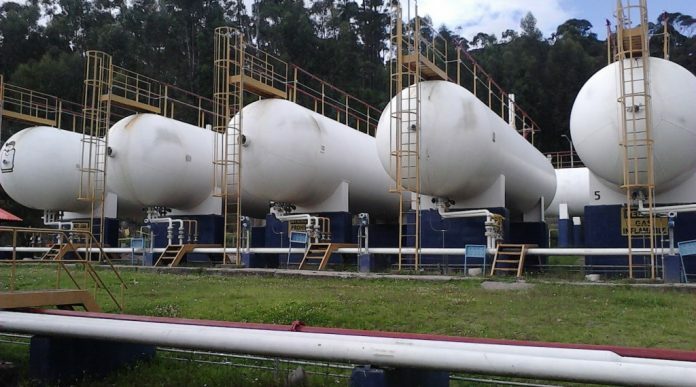 Construction of a US $75m liquefied petroleum gas (LPG) plant in Liwatoni area of Mombasa, a coastal city in Kenya, has commenced. The onshore storage and filing facility, whose construction works shall be overseen by Mansa East Africa Ltd, a two firms’ joint venture by US company Petredec and Kenya’s Rift Gas, is set to be constructed in three phases. The Manager at Petredec East Africa, Mr. Max Beckett, while affirming the news said that the venture will build an offshore storage facility with a capacity of 1,000-tonne. Phase one of the project according to the Rift Gas Chairman Lt Gen (Rtd) Njuki Mwaniki is set to be completed in November at a cost of US $8.5m. The second phase will cost US $20m and an additional US $15m will be used in the construction of infrastructure in the cities of Nairobi, Nakuru, Kisumu and parts of the western region. “When you calculate the sum of the down-stream infrastructure in Kisumu, Rift Valley, Nairobi and Western funds plus the funds that will be used here in Mombasa, the total foreign direct investment will add up to US $75m,” Mwaniki said. In addition, the Manager Beckett mentioned that from the Comarco’s private port, the mounded LPG terminal will be fed by a newly established floating storage vessel with a capacity to hold between 5, 000 and 10,000 tonnes. Upon completion, the facility will move approximately 12,500 tonnes per month. This move is anticipated to bring changes to the Liquefied Petroleum Gas supply in Kenya which has been dominated by African Gas and Oil Ltd who has been importing the gas into the country. Nice LPG project in Kenya.